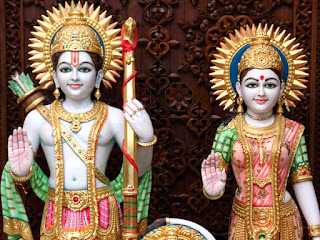 The 68th Shri Swaminarayan Mandir of Bochasanwasi Shri Akshar Purushottam Swaminarayan Sanstha(BAPS) has been built in Chino Hills, California, USA. This newly constructed Temple was inaugurated on the morning of December 23, 2012. Sadguru Pujya Kothari Swami performed the Consecration ceremony in accordance of with Hindu Vedic Rituals in the presence of Thousands of Devotees.